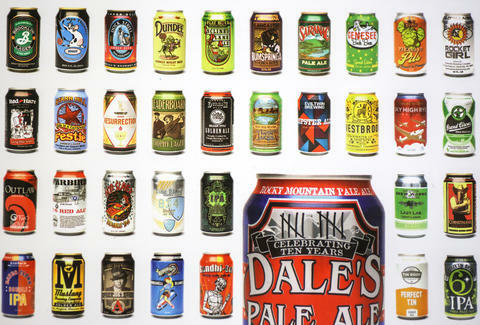 Canned beers are currently very in vogue, so it's only natural that there'd be a book featuring them striking a pose. 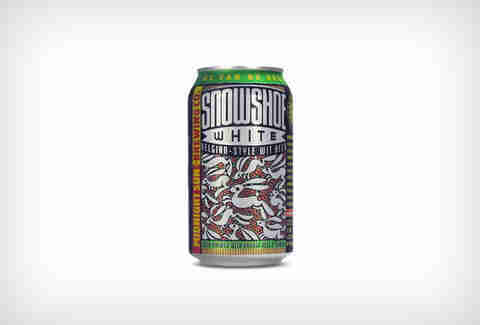 Written by Russ Phillips of CraftCans.com, Canned! is a 208-page tome dedicated to the world of beer's most beautiful aluminum shells and the heroes who design them. To show a preview of the goods, we asked Russ to pick his 10 all-time favorite designs. Then we got really thirsty. "Minneapolis-based artist Chuck U flexed his creative abilities with this design. If this design doesn't have you scratching your head a bit, I'm not sure what will... and that's what makes it so great. A great example of using the entire can as canvas. 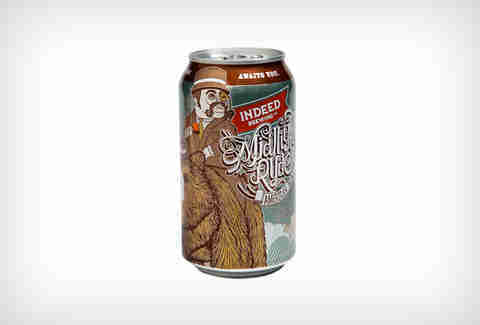 Chuck U's other designs for Indeed Brewing are equally impressive." 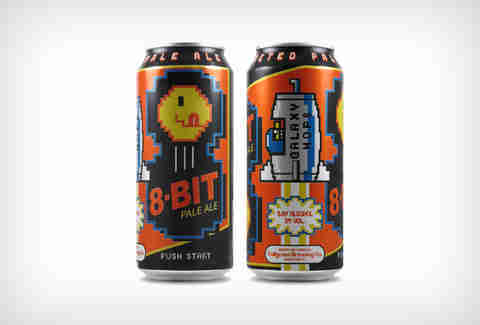 "I didn't play a ton of video games growing up, but I was a part of the Nintendo 8-bit generation. I love the rocket ship emblazoned with "Galaxy Hops", and the fact that this can has "three" sides to it. If you've never seen the YouTube video that went with the release of this beer, you should definitely check it out." "Fuzzco does the label and can design for Westbrook's whole lineup, and each is a piece of art in its own right. 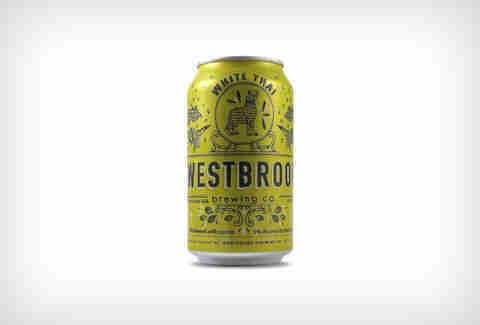 The White Thai design reflects the ingredients used in the brewing of the Asian-inspired Belgian-style Witbier, and it features a leopard cat, an animal native to Southeast Asia." 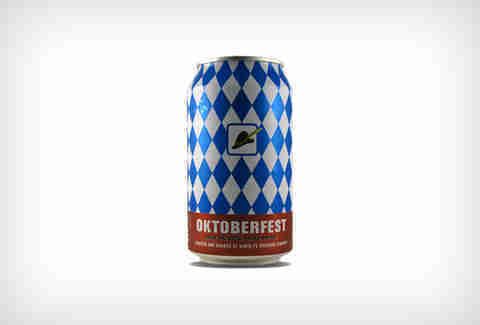 "Like Santa Fe's other can designs, their Oktoberfest features a simple, yet eye-catching, motif. The blue and white Bavarian flag pattern draws you into the Tyrolean hat on one side and a soft pretzel on the other. All you need is an oom-pah band!" "I absolutely love this design. What better way to provide imagery for an IPA than with actual hop bombs floating down behind a rather sinister-looking military general. Look closely and you'll see the stars on his uniform are those from the flag of Chicago. Revolution nailed it with this design." "From the Last Frontier comes this great design featuring an abundance of snowshoe hares bounding about. I really think artist Dan Miller did a great job translating the image into the can design, and he chose a great color palette." "Edward Smith has done some great designs for Maui over the years, and I could have chosen any number of them. 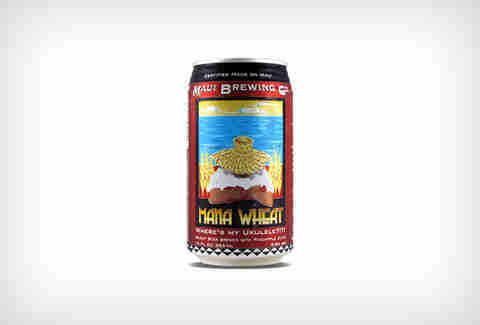 But the Mana Wheat design has always stood out to me as simple, yet artistic. Smith took his influence for this design of a ukulele player wearing a traditional palm frond hat from Italian poster designer Luciano Mauzan. Mana, if you're wondering, is a form of spiritual currency in Hawaiian culture." "What I love most about this can is the versatility and ingenuity behind the design. The badge-shaped sticker is applied to a printed can featuring a silhouette of the brewery's familiar rooster, along with a lot of natural aluminum. Brewery Vivant has released a load of different beers using this can design and different sticker badges. Oh yeah, Kludde is a Belgian water spirit that roams the Flemish countryside in the form of a monstrous black dog with wings. Pretty badass." "Definitely one of the more unique can designs out there. 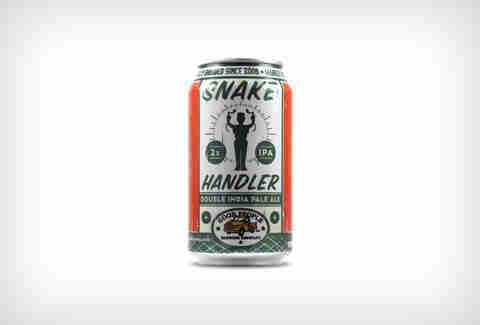 Good People Brewing pays homage to the peculiar practice of snake handling, something not altogether foreign to the brewery's home state of Alabama. The color scheme, which I love, was inspired by old Sinclair Oil cans." "Where to begin? Yeah, that is a robotic Gandhi, or a 'Gandhi-Bot', on that can. 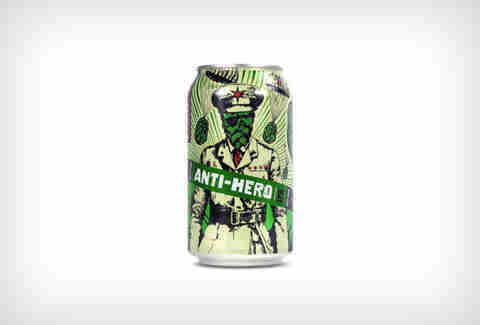 Along with being an incredible beer, this is a can design that has a backstory... but, not much of one. Legend has it that Craig Gilbert, an artist and friend of the brewery, was asked to come up with a name for a new IPA that was going to be canned. He immediately replied 'Gandhi-Bot', referencing 'India, Gandhi, cans, metal... metal Gandhi = Gandhi-Bot!'. You can't help but love it." Dan Gentile is a staff writer on Thrillist's national food and drink team. He loves a good-looking pair of cans. Follow him to more double entendres at @Dannosphere.